It’s that time of year again! Time for our annual Winter Sale! Place an order and get 10% off your merchandise total when you prepay with a credit card. 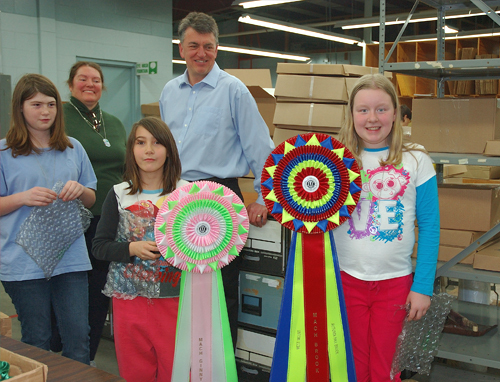 All our awards are included: rosettes, ribbons, silver, trophies, medals and more! Use keycode W12120213E to get your discount over the phone or online. Don’t need your awards until the spring? We can schedule your delivery for a later date so you can still get the discount! Over the past year our Art Department has been at work increasing our offerings of stock designs and available artwork for your use. Now that we’ve got a wider selection, we want to make it available for your use across product lines. Here are a few of the customization options that are now possible with your ribbons, medals and trophies. 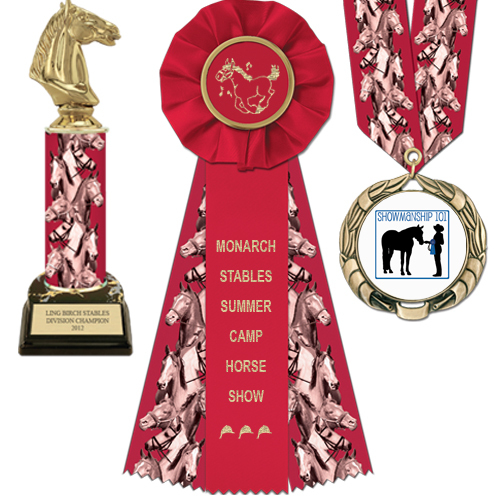 First, you can now color-coordinate your pieces to match by using the same design on rosette side streamers, neck ribbons attached to medals, and trophy columns. Check out the full selection of designs on our webpage here. 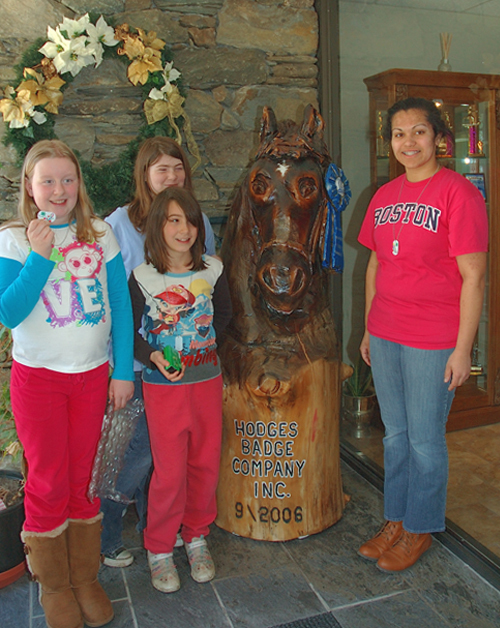 These products all use the Red Equestrian design. Here is an 11" trophy, Empire Rosette, and XBX medal all using the Agility Course design. Second, you can match your rosette button centers to your medal centers. 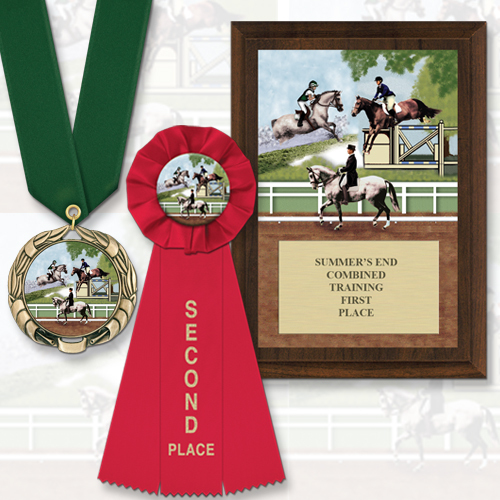 In addition, our full color equestrian stock designs are now available as stock options for our full color plaques. All products shown with our Combined Training design. 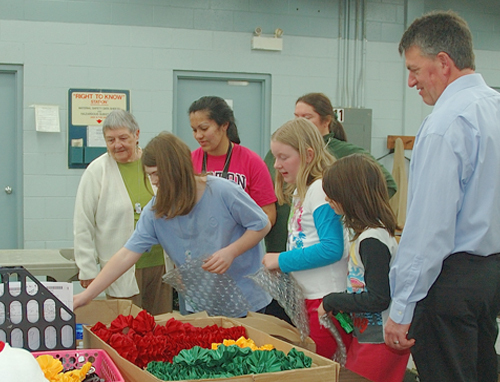 Have you ever had the opportunity to do something creative with your awards? What did you do? 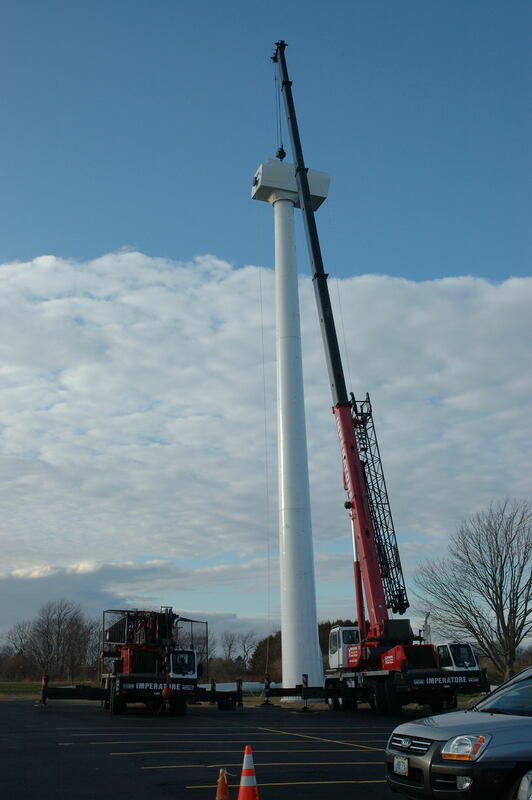 This past Wednesday, the weather, availability of the giant cranes, contractors and other factors finally aligned and enabled us to erect the remaining portion of our wind turbine. Here are a few photos to show you what “went down” (or up, rather). First the third and final section of the tower had to be raised up and lowered into place. 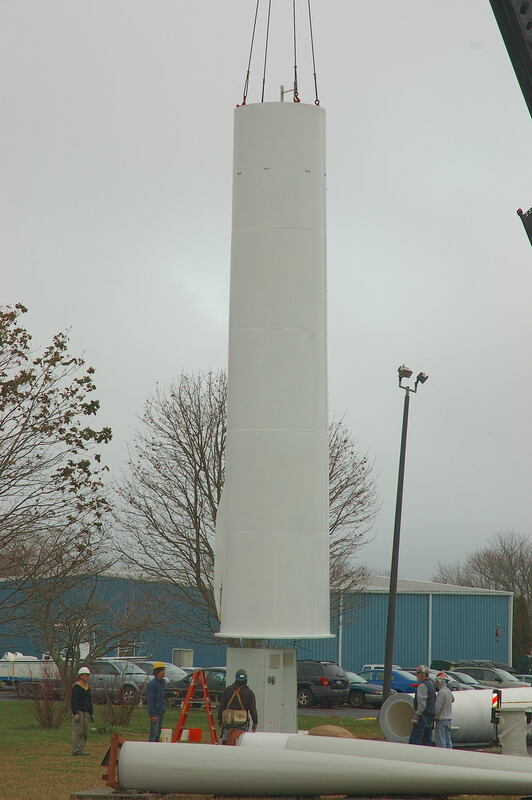 The tower is 98 feet tall. 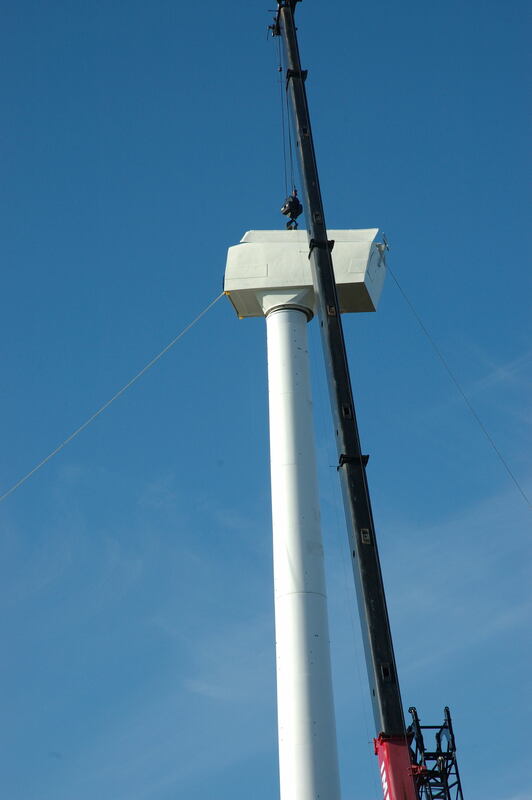 Then the nacelle, which houses the gear box and generator (and is bigger than a truck) was bolted on top of the tower. Here's a better shot of the full tower. 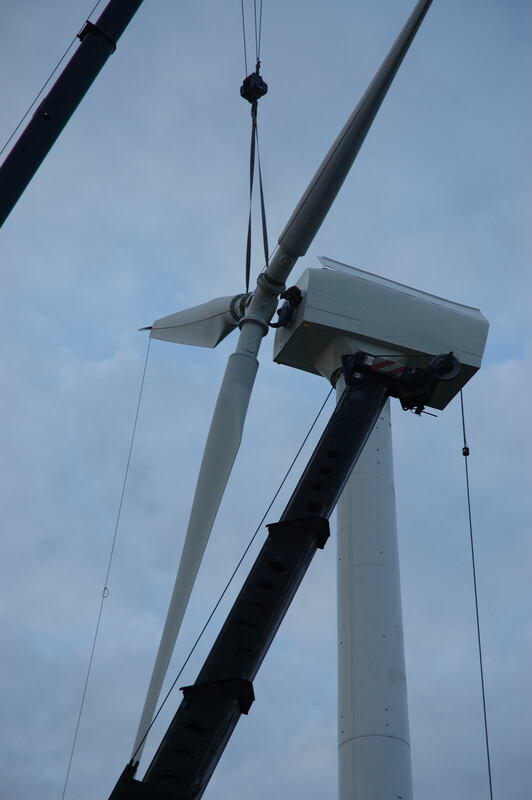 Cables were used to help align the nacelle. 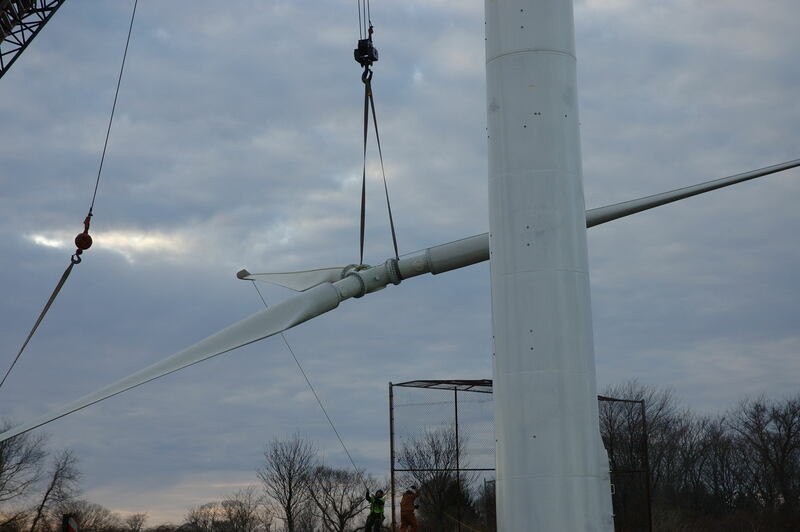 Next, the three 49-foot blades were attached to the hub and raised up. 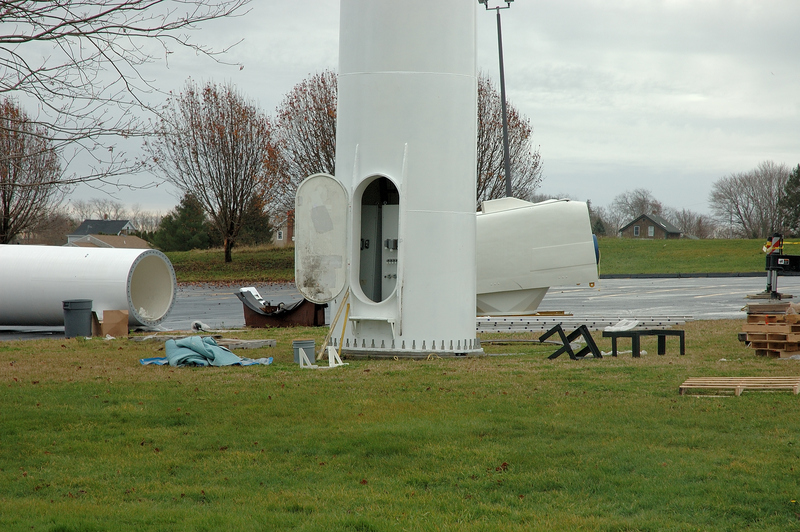 Then with more careful alignment, the hub was attached to the nacelle. 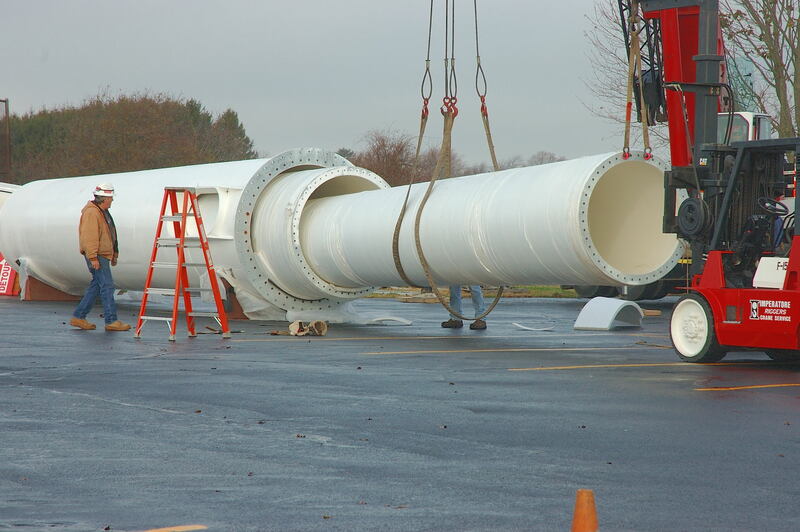 With the structure in place, we are now waiting for the electric company to test and commission the turbine. Of course, we’ll let you know once it’s fully operational. 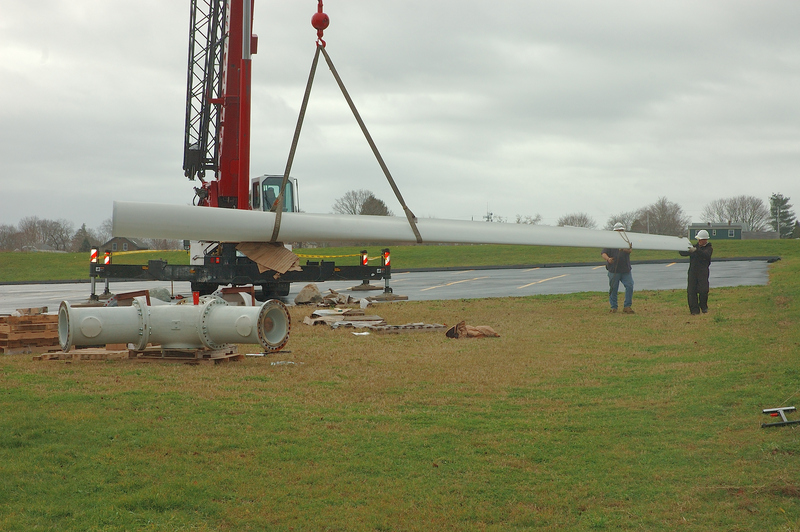 If you have been following our facebook page, or caught some local news, you may know that the assembly of our wind turbine began this week. 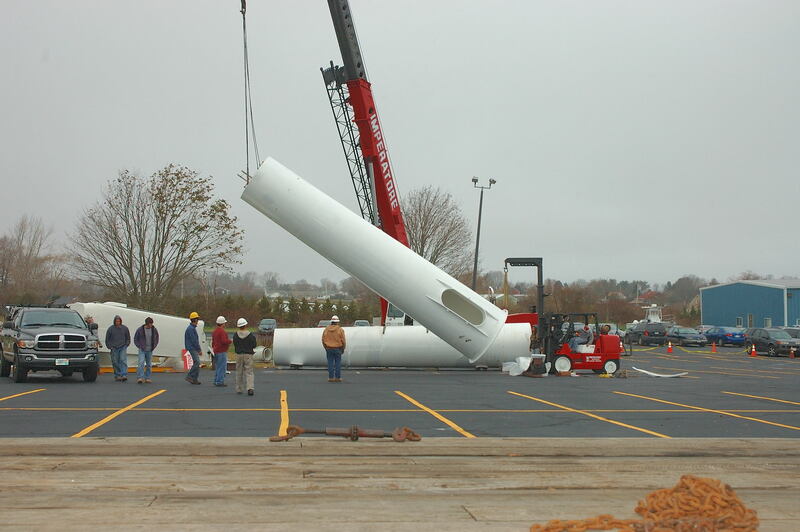 A large crane, some forklifts and careful execution helped ‘un-stack’ the turbine tower components and lay out the blades, tower and nacelle. I am calling this post “Part I” because as you will see below, right now only the base section of the tower is standing. 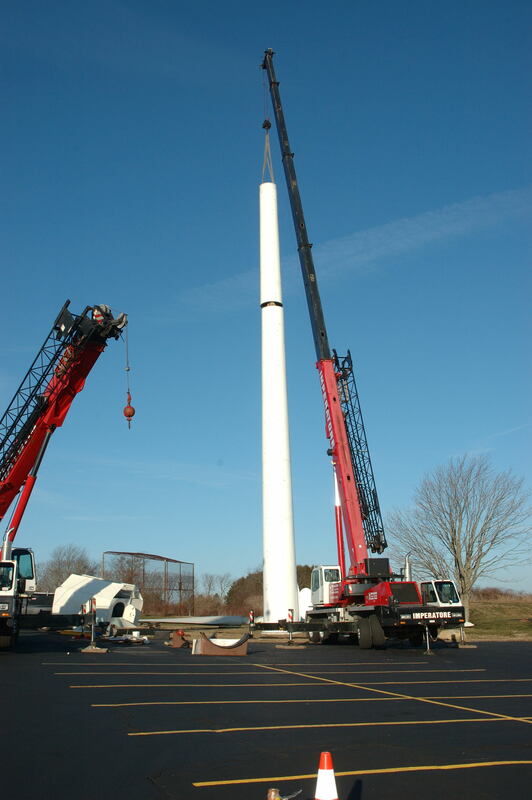 The crane will return this weekend to complete the tower segments and the blades too, should weather and time allow. Of course, more photos will be posted here once that occurs. And the base in place. Almost looks like part of a space ship. If you’ve ever had the chance to look at a young athlete’s medal collection, you may have noticed something– there are usually a few medals hanging up in multiples. Which leads to the next question– what do we have that’s new or different? With both budget and unique design in mind, this year we created the Winner’s Circle medal series. 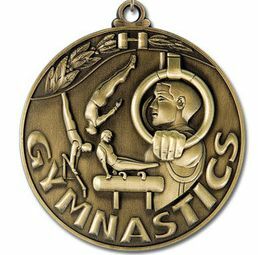 Our 2-1/2 inch medals are exclusively available directly from Hodges Badge Company, and come in antiqued gold, silver and bronze finishes. Available sports include: baseball, basketball, football, men’s gymnastics (2), women’s gymnastics (2), swimming (2), men’s track & field, and women’s track & field. 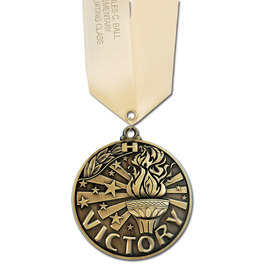 For other sports, consider the Victory and Star Performer medals. There are also two academic designs- the Lamp of Learning and Stack of Books. Putting the medals in your hand, they feel heavy and substantial- similar to more expensive medals. The Winner’s Circle medals start at just $1.35. 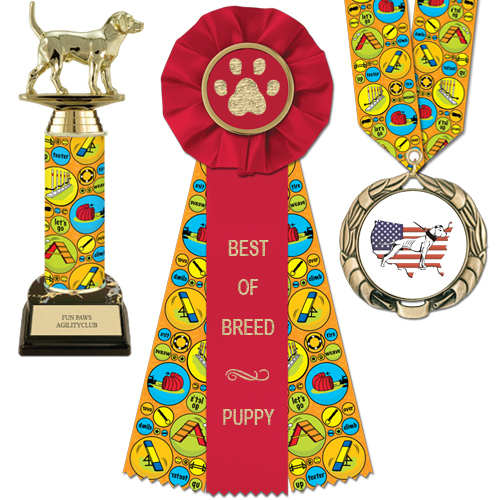 You can choose to customize the awards with our printed satin neck ribbons. What do you look for when chosing a medal? Does having something different make your awards more memorable?